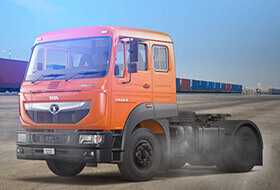 Equipped with the best-in-class technology and designed to support long hours of driving and usage, Tata Tractors are also known for their significant productivity and for providing a great trucking experience! 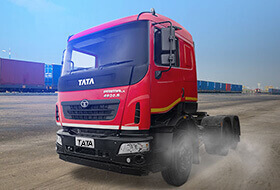 The Tata Signa 4923.S with its AC cabins and excellent ventilation options is built to offer complete comfort to the driver and enable fatigue-free working for longer hours. 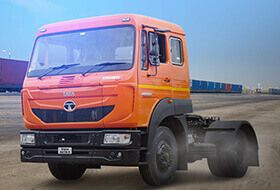 The Tata Prima LX 4930.S comes with a performance packed drivetrain and provides a fine in-cab experience to the drivers with spacious AC cabins and driving ergonomics. Tata Signa 4018.S comes with feature enhancements like a Trip Mileage Indicator that provide an excellent trucking experience. Improved cabin space and driving ergonomics make driving comfortable. 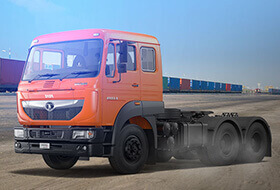 The Tata Prima LX 4025.S offers a power packed drivetrain, robust durability, and reliability. It is well suited for a wide range of applications across geographies. 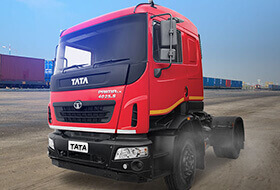 Tata Signa 3518.S enables drivers to traverse long distances without being fatigued, thanks to its ergonomically designed cabins and improved NVH levels.